At Primas Medispa's Central London beauty clinic we deliver the most effective toning and cellulite treatments with our expertise and the latest technology. We all want to look our best. And while nothing can replace a healthy lifestyle, there are some modern tricks that can make a big difference. Primas Medispa’s Central London beauty clinic is proud to offer a range of the latest sophisticated beauty treatments to help reduce the appearance of cellulite and give you the toned body you’ve always dreamed of. Tshape treatment uses non-invasive technology to reduce the problems of saggy skin and accelerate cellulite removal. It combines multi-polar radiofrequency technology with a specialist LLLT laser and a vacuum massage to identify and tighten redundant skin. It is one of the most effective cellulite remedies available and many of our customers have benefited from the stunning results. Find out more about Tshape for cellulite removal treatment at our Central London beauty clinic today or call now to book. 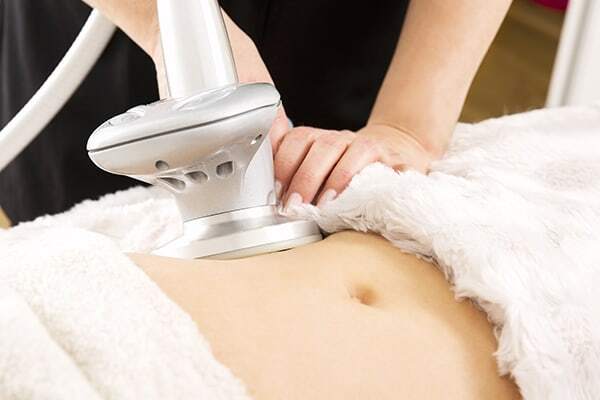 Ultrasound cavitation is a groundbreaking treatment for targeted fat reduction. The specialised technology detects unnecessary fat cells, and converts them into a liquid, which the body can then filter out naturally. It’s completely non-surgical and effectively emulsifies fat cells, with fast, noticeable results. Find out more about ultrasound cavitation at our Central London beauty clinic today or call now to book. Laser liposuction is a much quicker and less invasive alternative to traditional liposuction. The sophisticated laser technology penetrates the skin and liquefies fat cells, which can then be then removed through the body’s natural metabolic function. Combined with a healthy diet and lifestyle, our patients experience impressive results very quickly. Find out more about laser liposuction at our Central London beauty clinic or call now to book. Cryolipolysis, or ‘fat freezing’ is an incredible treatment that’s relatively new to the market. It’s designed to reduce fat quickly. Free from many of the traditional side effects associated with weight loss surgery, the treatment quite literally cools the fat cells to freezing point, which allows the body’s natural processes to gradually filter out the fat. Effective, impressive fat loss with little or no downtime after treatment. A body wrap, as the name might suggest, involves wrapping your body in a mixture of herbs, soothing lotions, and thermal blankets. We offer this as a wonderful natural treatment to soothe and detoxify your skin, while targeting the reduced appearance of cellulite. A natural, relaxing treatment for body and mind. Eat a healthy and balanced diet before and after the treatment. Go for a walk or exercise to activate the lymphatic system.